Stream music from your cell phone, tablet or computer to your speakers with Amphony's wireless Bluetooth amplifier. The BlueFidelity wireless amplifier integrates an advanced Bluetooth audio receiver and a state-of-the art stereo power amplifier into a tiny package no larger than a deck of cards. Simply turn any speakers into Bluetooth wireless speakers! 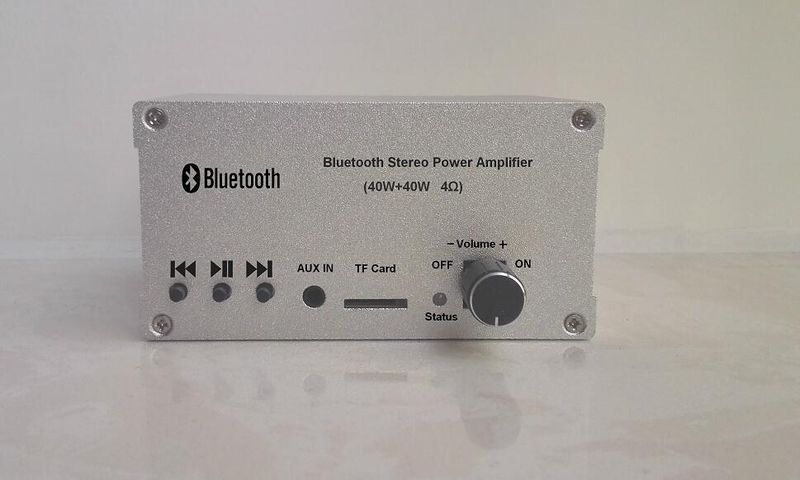 This Bluetooth wireless amplifier output 2 x 40 Watts of power to a pair of 4ohm speakers. The built-in state-of-the-art power amplifier delivers the energy efficiency of today's best digital class-D audio amplifiers while at the same time offering far lower audio distortion at only 0.04 %. 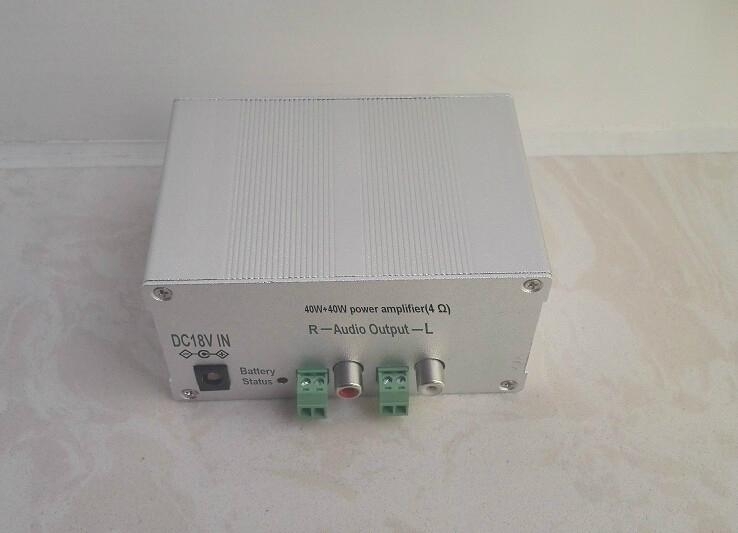 This Bluetooth power amplifier built-in 2600mA lithium battery,The power can meet the use of 4 hours.Can meet the requirement of continuous charging,Can meet the outdoor,park...No voltage place to use . 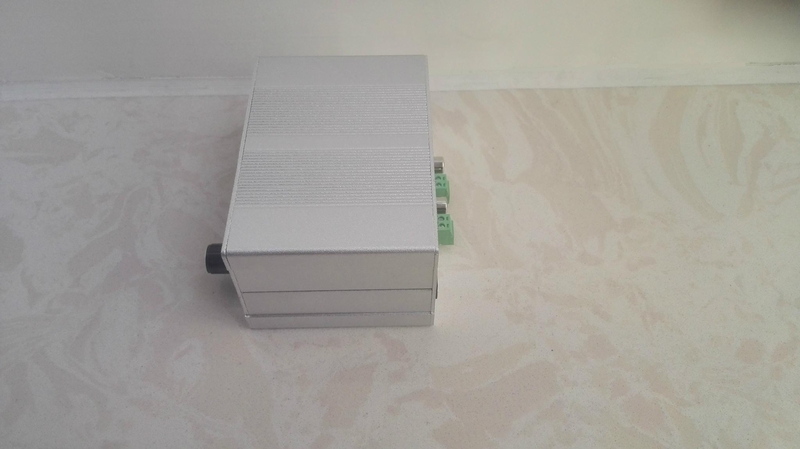 Support external audio input AUX IN automatic switching mode. Support TF card read music files, automatically switch mode. It's aluminium chassis itself provides enough cooling. No built-in fans or additional cooling are necessary. All you will hear is the music.